THERE is no denying that the mention of Kuala Lumpur old city, which covers Medan Pasar, Chinatown and Little India, conjures images of old, empty and decaying shophouses despite the area’s hustle and bustle, as well as the heritage value. Unlike the situation in Penang and Malacca, businessmen and investors are still shying away from the pre-war shophouses in Kuala Lumpur in spite of a heightened awareness on heritage preservation. The business rows here are interspersed with dust-collecting lots that are not taken for years, their unique architecture and frontage carvings eroding away by the day. What’s more heartbreaking, is the emergence of foreign workers’ ghetto in these areas, enveloping the heritage area with appalling filth and noise. The intersection of Jalan Tun Tan Cheng Lock and Jalan Tun H.S. Lee reveal a sorry sight, major banks and retail labels were there years ago but never came back. Many lots at one end of Jalan Tuanku Abdul Rahman face the same fate. Along Jalan Tun H.S. Lee, empty lots are splashed with real estate agents’ contact numbers to “shout” for attention but somberness stays on year after year. 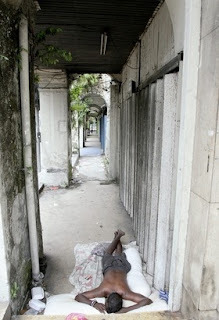 “The rents have gone too high,” said a businessman in Jalan Tuanku Abdul Rahman. He said most of his neighbours used the buildings for stock storage because this quiet part of the road hardly attracted passers-by. Rotting away: This pre-war lot sitting near the intersection of Jalan Tun Tan Cheng Lock and Jalan Tun H.S. Lee was at one time occupied by a major hypermarket chain but is now left to rot. The historical value of these pre-war buildings is no doubt immeasurable but the reality is, the costs involved in maintaining or restoring its past glory would also be immense. Malaysian Institute of Architects (PAM) president Saifuddin Ahmad gave a comparison: it can be cheaper to demolish the whole building and build a new one, than to carry out proper conservation. Building conservation is a specialised area in architecture. Malaysia may have produced internationally known conservation architects such as Lawrence Loh and Mike Boon, but not all architects are capable of doing conservation in the real sense, he said. Furthermore, not many contractors are equipped with the know-how even though the National Heritage Department does offer a course on the subject, he said. “As you can see, many ‘conservations’ do not do justice to the building,” he added. He said aside from specific methods, conservation also required special building materials which meant additional costs. “You may even need to custom-make the bricks because the sizes are different,” he said. 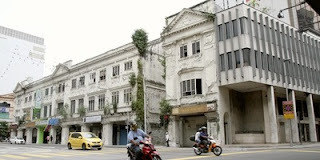 In disrepair: Some of the abandoned pre-war buildings near Masjid Jamek LRT station. Private ownership of the heritage buildings is in most cases a major hindrance to conservation efforts, too. 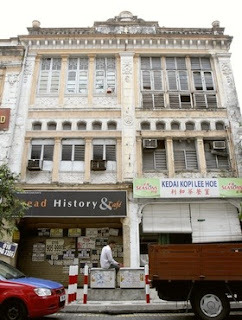 “PAM published a book on shophouses in 2007 in view of the string of old buildings demolished in the name of development. “However, PAM can only advise and advocate but at the end of the day, it’s the still the owner’s call,” he said, citing the case of Bok House in Jalan Ampang. In other words, if the owner decides to leave their time-honoured building to rot away, there is nothing much the others can do. Likewise, Saifuddin said the institute was concerned about what would happen to the Loke Mansion, where PAM had called home for the past 41 years, after Kuala Lumpur City Hall (DBKL) has taken over. “We trust that DBKL know what’s best for the building but we will still advocate if it’s not done properly. “If given the opportunity, we would like to continue managing the building as we’ve helped to keep it to what it is today,” he said. 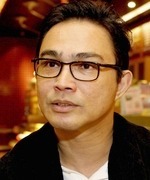 Real Estate and Housing Developers’ Association (Rehda) vice-president Datuk Soam Heng Choon said heritage buildings in Kuala Lumpur might not attract the interest of developers as they came with a lot of restrictions on development. “The architecture has to be preserved and therefore the density is very low. “Moreover, these buildings are usually located in prime areas, the high real estate prices add to development costs. “You need someone with not only deep passion, but also financially sound to take over heritage buildings and keep them in good shape, this is why most people are shying away from them,” he added. Saifuddin proposed involving public and private bodies to set up a fund for heritage conservation to help owners who cannot afford the high costs. If that cannot be done, he said the government could acquire the buildings to carry out conservation in view of the deterrents mentioned above. Alternatively, he said, the government should provide some form of incentives for companies to take up heritage conservation projects. “If you look at some matured cities, the new and old can co-exist while the city progresses,” he said, stressing that many places in Kuala Lumpur, especially Sungai Besi Old Town, should be carefully conserved to offer locals and tourists a glimpse into the past. “You do not need to look far, Malacca, Penang and Singapore have done wondrous projects on this,” he highlighted. 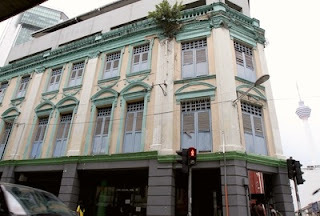 On the other hand, Soam felt that the models in Penang, Malacca and Singapore where heritage buildings had their exterior preserved and polished, and interior enlivened with various usages ranging from eateries to guesthouses, would not work in Kuala Lumpur without a push from the government. Home for the homeless: A vagrant is seen sleeping on the walkway of an unused pre-war shophouse located near the intersection of Jalan Tun Perak and Jalan Tuanku Abdul Rahman. “There must be a theme for these areas, then only it will work. Otherwise, developers will not be interested as the development will not evolve fast enough for them to generate the desired returns. “On top of that, there bound to be owners who refuse to sell their properties,” he added. Nonetheless, DBKL has several initiatives in place to upkeep areas with historical value. Corporate planning manager Dr Ismail Stapa said DBKL had been carrying out periodical inspections, by serving painting and cleaning notices to the building owners to ensure that they maintain and retain their premises with heritage value. He also highlighted City Hall’s upgrading and beautification programmes along the KL Heritage Trail and Medan Pasar which involved repainting building façades, rearranging signage on the buildings’ facades, enhancing lighting impact on the buildings’ façade as well as assembling “mock-up façade” for selected buildings. “The buildings in Medan Pasar, Leboh Ampang and Jalan Tun Perak are sited within Secondary Heritage Zone under the Kuala Lumpur City Plan 2020. Some of the buildings have been demarcated as Category 3 Heritage Buildings, which means the original façade has to be conserved. “Meanwhile, for non-heritage buildings within the Secondary Heritage Zone, the architectural elements and character should be retained,” he added.